Dr. Kris Erickson (CEMP), Dr. Dinusha Mendis and Professor Martin Kretschmer (CIPPM) have co-authored a series of reports commissioned by the UK Intellectual Property Office (UKIPO) on parody and pastiche. Empirical and legal research is presented in a sequence of three reports published by the UKIPO in March 2013. The three studies commissioned by UKIPO evaluate policy options in the implementation of the Hargreaves Review of Intellectual Property & Growth (2011). Study III authored by Dr. Kris Erickson, Professor Martin Kretschmer and Dr. Dinusha Mendis provides a summary of the findings of Studies I & II, and analyses their relevance for copyright policy. Study I presents new empirical data about music video parodies. A sample of 8,299 user-generated music video parodies was constructed relating to the top-100 charting music singles in the UK for the year 2011. Study II discusses of the legal treatment of parodies in seven jurisdictions that have implemented a copyright exception for parody. The jurisdictions include Australia, Canada, France, Germany, Netherlands, UK, and USA. Study II identifies possible regulatory options for benefiting from a parody exception to copyright infringement, and distils the (economic and non-economic) rationales developed by legislators and courts. The report concludes by setting out a list of policy options. Study III brings together the legal analysis and the empirical data. 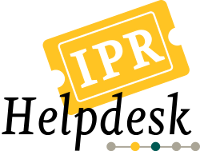 Each of the policy options identified in Study II is examined for its likely impact on the empirical sample gathered in Study I.
SMEs can sometimes be nervous of getting involved in FP7 projects because of the Intellectual Property Rights (IPR). The European Intellectual Property Rights (IPR) Helpdesk has published new guidance intended to give SMEs an overview of how IP should be managed within FP7. The guide addresses issues faced by participants at the proposal stage, during negotiation and implementation, and upon completion of the project. It also contains a glossary and a list of links to useful resources. The guide can be used in conjunction with the three more detailed guides addressing IP issues at different stages of FP7 projects which were published at the end of 2011.